← Think Luke Gregerson Was Happy the Blackhawks Won? Kyle Blanks is Baby Huey. Baby Blanks! 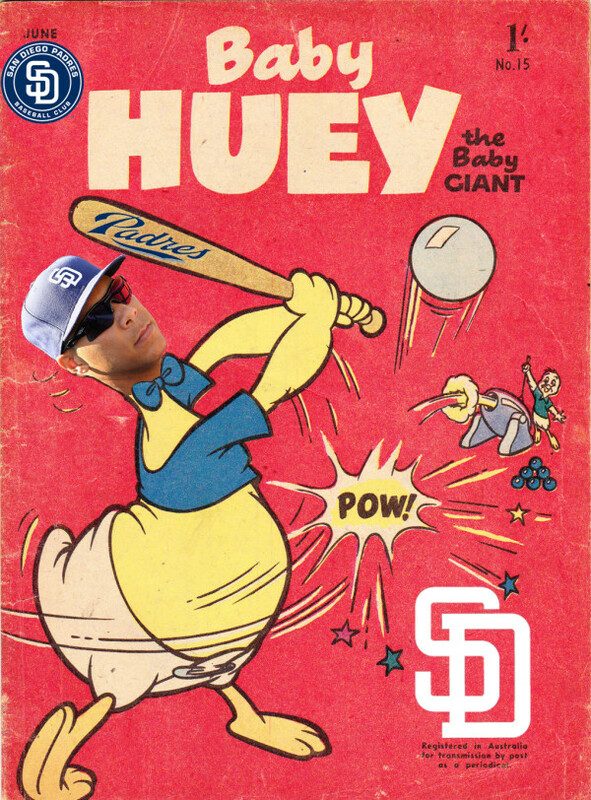 The 6’6″ 265-pound 88 Train had his first career four-hit game, drove in three of the Padres’ four runs and scored the other, which was the game-tying run on a passed ball in the 9th. I think he raised his average something crazy, like 16 points, in one game. He’s now hitting .285 – he will not be sent down to the minors anytime soon. This entry was posted in Football, NFL and tagged 88 train, baby huey, eighty eight train kyle blanks, kyle blanks, kyle blanks baby huey, Padres. Bookmark the permalink.